Today we have two projects using Maggie & Flo's Soho Calicos to show you, one in each color way! They were both designed by Stephanie Sheridan of Stitched Together Studios, and they're both featured in magazines currently on sale. They're also both quick and easy to sew--perfect for a relaxing summer project! We asked Stephanie to tell us about her two Soho Calicos quilts. What do you like about the Soho Calicos pink color way? I love the Soho Calicos line because it reminds me of the calicos of my childhood, but with a modern twist. I love that these pinks and purples and greens are a little more sophisticated ... the rose, sage and currant colors make these classic prints very modern. This looks like a variation of the 1600 concept. Is it? This quilt started out with some 1600 inspiration, but with a bit more structure. One of the things that I love about NYC (Canal Street is located in the Soho neighborhood) is the variation in the length and widths of the city blocks - short, long, wide, narrow - and all together they make something beautiful. 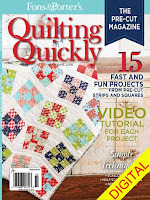 Plus in a quilt, wide spaces (like the sashing) give a place for the quilter to have fun! Tell us about the striped borders you added. What do you think they add to the quilt? I think that the pieced borders frame the quilt while echoing the center portion. What do you like best about the design? I like how easy it is on the eyes. Sometimes with quilts using jelly-rolls, they end up really busy with all of those narrow strips of different colors, but the sashing in this quilt gives your eyes somewhere to rest before looking and the next group of colors. 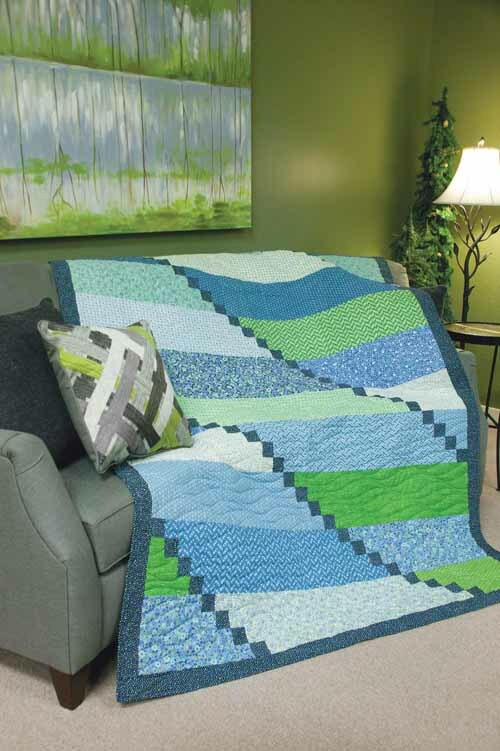 What do you see this quilt being used for? This is a more of a lap sized quilt, so it would be great to snuggle under - or maybe for that little girl that has moved from a crib to toddler bed and has a mommy that loves the sophisticated color palette! Click here to see the entire pink colorway of Maggie & Flo's Soho Calicos collection. Click here to find the Canal Street quilt kit. Click here to learn more about designer Stephanie Sheridan. 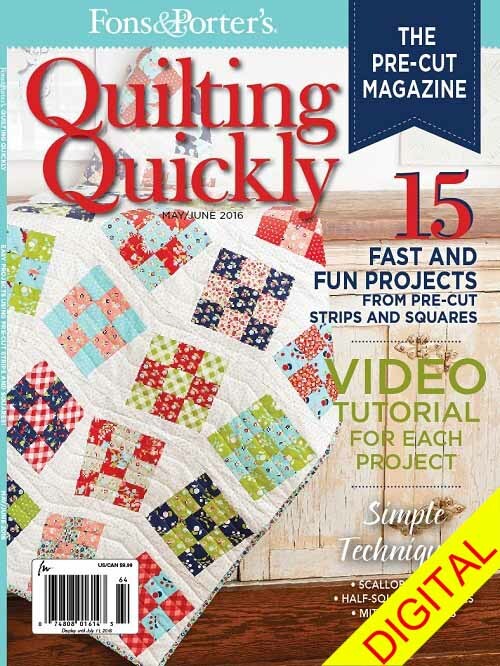 Click here to find the May-June 2016 issue of Quilting Quickly. What do you like about the Soho Calicos blue color way? The blue colorway seems very serene and calm to me - my favorite would have to be the Dianthus prints - I love the way the colors of the whole line come together in these prints. How do precuts make this project quick and easy? This is a FQ friendly quilt - even though it doesn't look like it! You can just stack the FQs up and cut using the cutting diagram in the pattern--it goes really fast! Last summer I saw a field of corn where the watering tractor had cut across the field, leaving these diagonal lines in the perfectly spaced rows and I thought it would be an interesting concept for a quilt. I like the juxtaposition between the horizontal rows and diagonal lines, there is a lot of movement in this design! And of course, my mom (Linda Leathersich) created even more movement with her wave quilting motif. 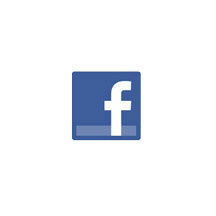 How did you decide what shade to use for the diagonal squares and border? I wanted the "furrows" to be really dark to stand out against the body of the quilt so that they draw your eye across the pattern. What do you envision this quilt being used for? It is a great twin sized bed quilt - perfect for a teen girl that isn't into pinks and purples. Click here to see the entire blue colorway of Maggie & Flo's Soho Calicos collection. 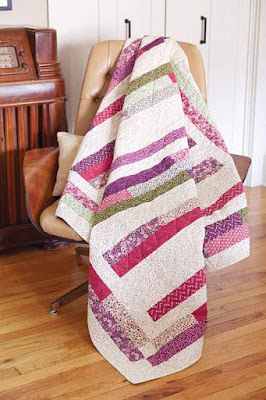 Click here to find the Furrows quilt kit. 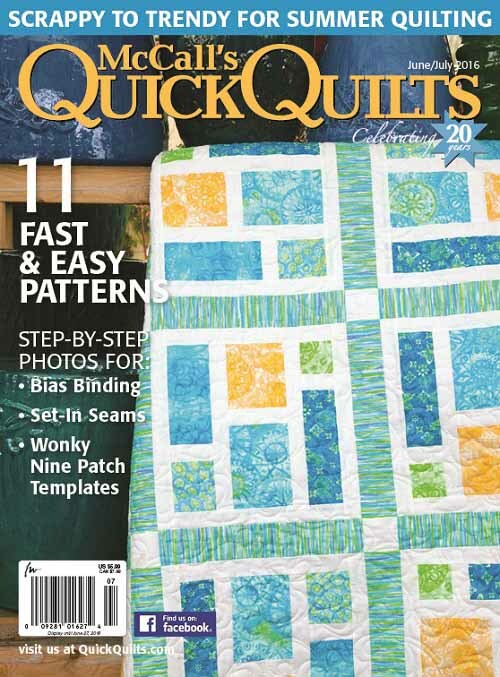 Click here to find the June-July 2016 issue of Quick Quilts.